‘Baahubali 2: The Conclusion’ Clocks Highest Ever Advance Ticket Sales, Breaks Dangal Record! The worldwide release of ‘Baahubali 2: The Conclusion‘ has created an immense craze among the audience. Not only in India, but the release of the film is going to be huge internationally also. Believe or not, it is going to be a huge task for you to get yourself a ticket if you’re planning to watch the film on the first day. Yes, Baahubali 2: The Conclusion is witnessing phenomenal ticket sales across the country and fans in South have already started queuing up for the tickets early in the morning. People in Hyderabad are in beeline for advance booking from morning 7AM and the line is as long as 3 kms. Not just this, but people are also buying black tickets at exorbitant price of Rs.4000. Also Read: Shocking! Baahubali 2 War Climax Scene Leaked Online, Culprit Arrested! Considering its wide release, the film is expected to witness a shattering opening on the first day at the Box Office. In fact, the film has already earned Rs 500 crore by selling theatrical and satellite rights in India. In North America, even before its release, Baahubali 2 has already earned $2 million and is expected to up the number by today. 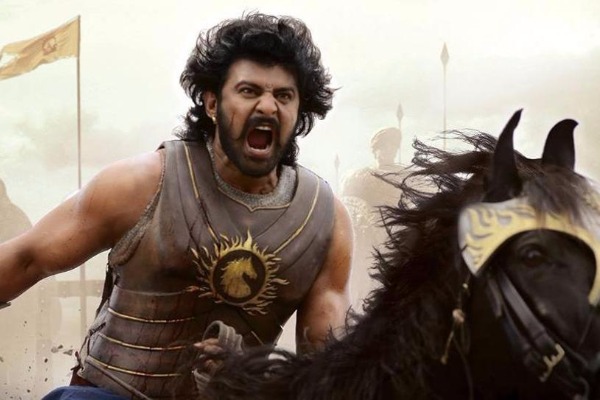 Produced by ARKA entertainment and directed by S.S Rajamouli, the film stars Prabhas in the titular role in addition to Rana Daggubati, Tamannaah Bhatia, Anushka Shetty and Satyaraj in pivotal roles.